Keywords: ABO, Rh, blood groups. Background: The importance of knowing blood groups is very essential for every individual. Therefore, in order to promote the awareness of the same in a medical college among medical undergraduate students will have impact on them. 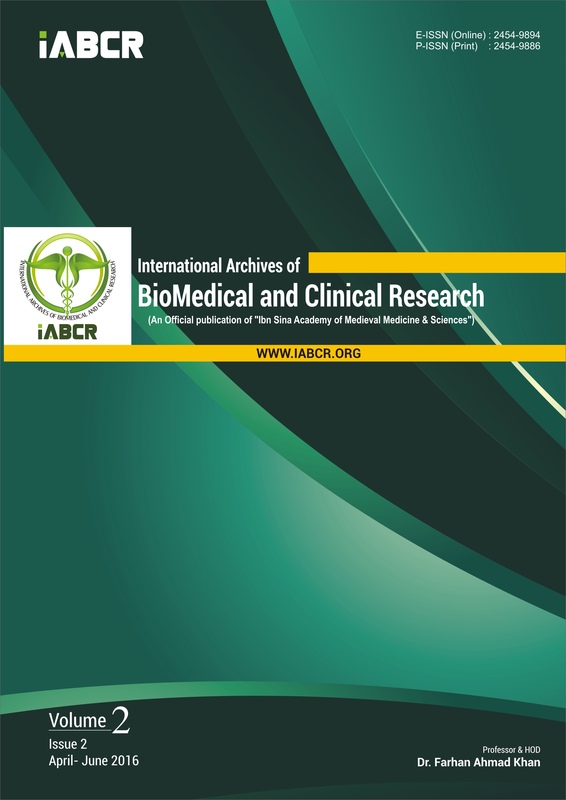 Therefore, this study was conducted to document the frequency of ABO &Rh (D) blood groups. Methods: This prospective study was conducted on first year medical undergraduate students in the department of Physiology at VIMS, Gajraula, U.P. A total of 80 subjects of both genders were enrolled on the basis of inclusion and exclusion criteria. A finger prick blood sample of both genders was tested for ABO and Rh (D) blood groups by routine slide method. Result: Blood group ‘O’ was dominant in both Rh⁺ and Rh⁻ subjects followed by group B, A and AB occurs with lowest frequency in both males and females. The percentage of Rh⁺ and Rh⁻ subjects was 95% and 5% respectively. Conclusion: the frequency of ABO blood groups in both Rh⁺ and Rh⁻ subjects in Uttar Pradesh was O>B>A>AB. Rh⁺ blood group was much more common than Rh⁻ blood group. 5. Bhanti FA, Amin (1996). Spectrum of ABO and D blood groups of donors at Rawalpindi/Islamabad. Pakistan J. Pathol. 7(2): 26-28.